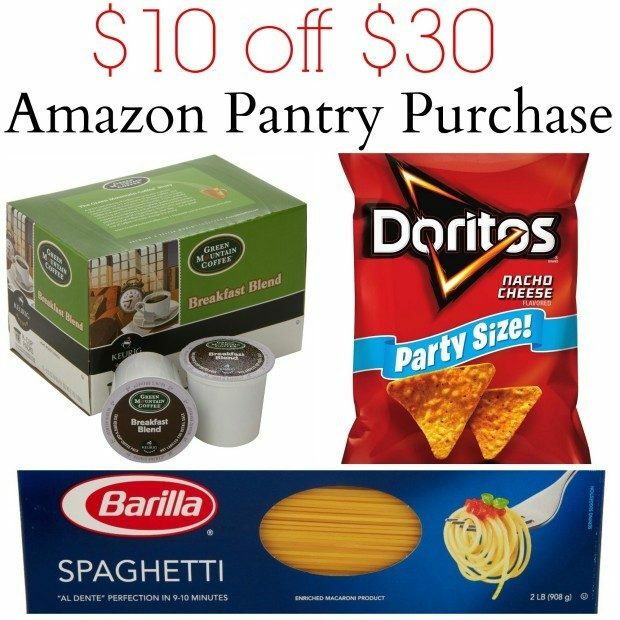 Get $10 Off A $30 Grocery Purchase At Amazon! You are here: Home / Great Deals / Amazon Deals / Get $10 Off A $30 Grocery Purchase At Amazon! Wow – here’s a HOT deal on groceries delivered right to your home! Right now, you can get $10 off a $30 grocery purchase at Amazon when you use promo code 10OFFGRO at checkout! And, if you have a pantry purchase of $50 or more, shipping will be just $1.99! Just go here to start shopping! I love the fact that these groceries can be delivered right to your door without having to go to a store! This deal is valid through 7/8, so make sure you take advantage of it!